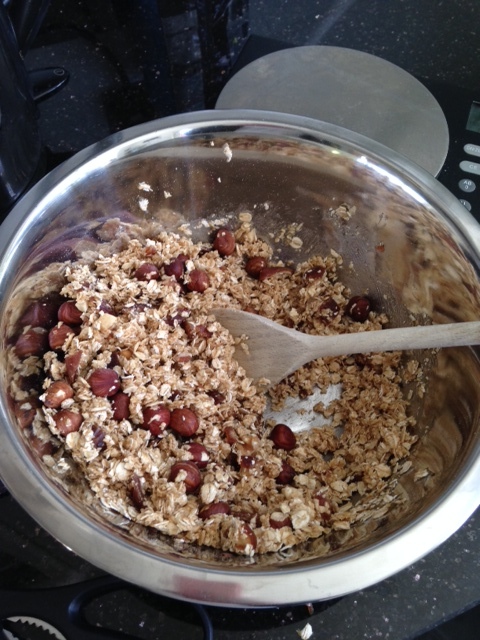 You may have heard me mention ‘Clean and Lean‘ in a few blog posts already. That’s because I love the concept behind it. Founded by James Duigan, Clean and Lean is all about being kind to your body and mind and sticking to natural foods and cutting out the C.R.A.P (Caffeine, Refined sugar, Alcohol and Processed foods). According to James, sticking to ‘clean’ foods that haven’t change much from their natural state like an apple or egg will make you look & feel great. Its true! I rarely eat processed foods but when I do, God, I feel awful the next day. 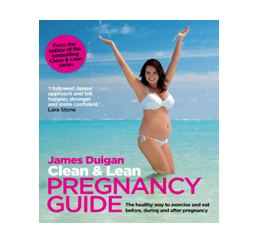 James has recently brought out a fantastic book called ‘Clean & Lean Pregnancy Guide.’ It is what it says on the tin, a book that guides you through conceiving, the first, second and third trimester and post-pregnancy. There are exercises and food suggestions to follow, with lots of easy recipes that will keep you nourished throughout the day. 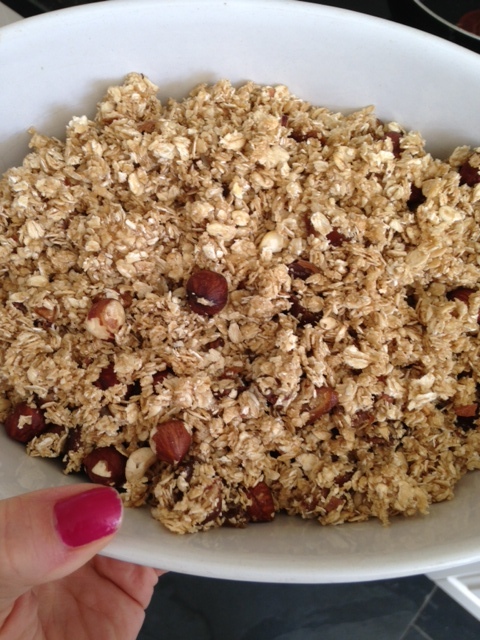 To make it I simply mix gluten free oats, manuka honey, prunes and mixed chopped nuts. I then spread it on a baking and baked in the oven for 15 minutes, before getting it back out, giving it another stir and baking for another 30 minutes at 110 degrees. Try it, it’s lovely! I tend to have mine either on its own or with some Chocolate CO YO. You can’t get better than that!